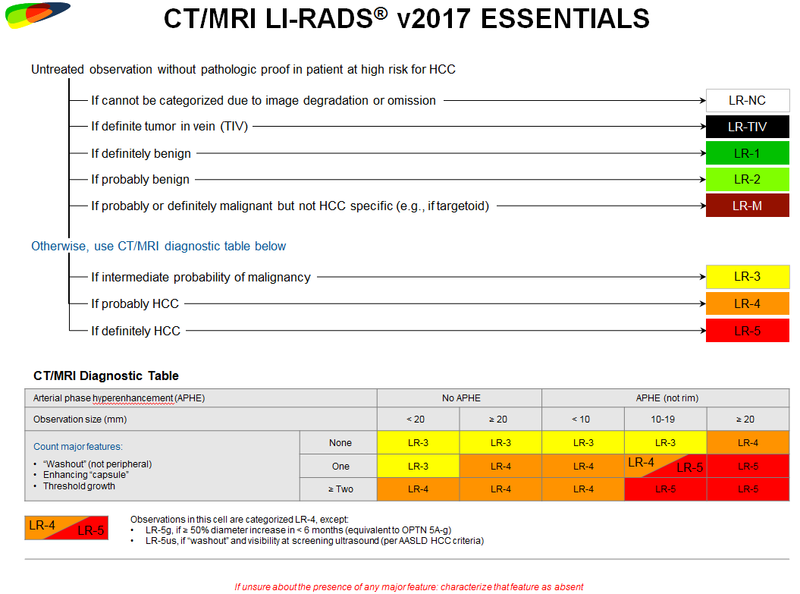 The LI-RADS Committee has approved an updated CT/MRI diagnostic algorithm, a new treatment response assessment algorithm, basic management guidance, basic reporting guidance, key definitions, core supporting material, and FAQ. 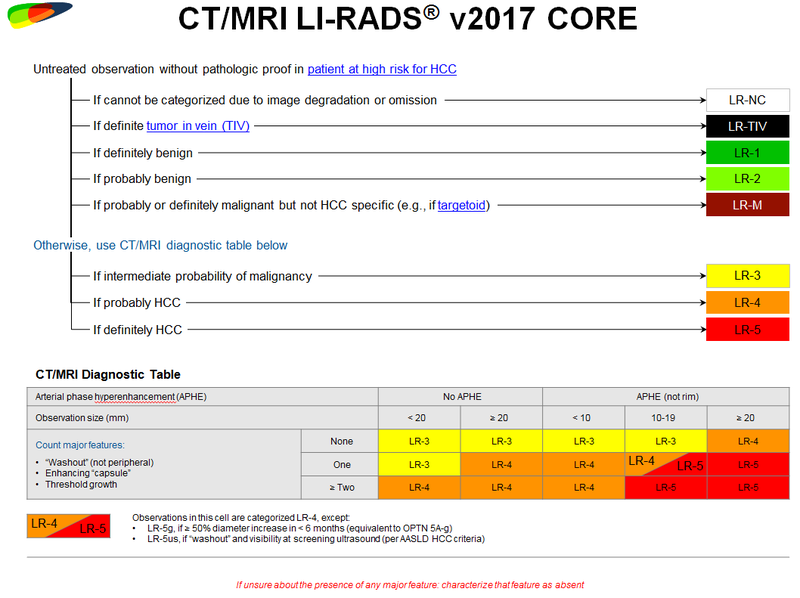 The Core is a 33-page hyperlinked document that covers everything needed to apply LI-RADS® v2017 for CT and MRI. It includes an updated diagnostic algorithm, a new treatment response assessment algorithm, basic management guidance, basic reporting guidance, key definitions, core supporting material, and FAQ. An abbreviated version of the Core, the 9-page Essentials provides the informed user with everything needed to apply v2017. It includes the updated diagnostic algorithm and the new treatment response assessment algorithm, but not the other components of the Core. We anticipate that once you become familiar with LI-RAD® v2017, the Essentials will be your primary resource for applying LI-RADS in your practice.